Course in Creativity™ will kick-start your thinking. In-house courses are flexible. The course can be delivered in a two or three-day format. It can also be extended over time to embed learning and give your people a chance to practice in the workplace. You will learn to use Dr. de Bono’s powerful methods. We suggest you choose to work on live and relevant business issues to get the most from your training. These thinking methods are like ‘software for the mind’. The applications are endless for individual, team, and organisational use. A Course in Creativity™ brings game-changing thinking skills to your business. Most businesses expect ‘creativity on demand’ from their employees. Few actually teach their people how to produce quality, well-rounded thinking. Jump over the barriers to creativity. Boost your creativity skills with breakthrough techniques. Realise that you are creative. The Six Thinking Hats: A process which establishes Parallel Thinking. The Six Thinking Hats enables focus, team working and subject exploration, and allows new dimensions of possibility to open up. Lateral Thinking helps you find instant magic, the kind that will electrify your meetings. Who is a Course in Creativity™ for? They have all benefited from the techniques taught in this course. Whether your organisation is a start-up, an SME, or a large organisation, the principles are the same. Our Course in Creativity course is available in-house. You choose the date, location and time of your courses to suit your schedule. We will send all materials and an accredited trainer saving you employee travel and accommodation expenses. The possibilities are endless with this creativity training. 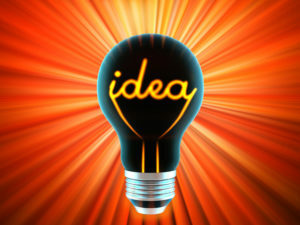 You will be able to adapt to the demands of short ideas generation sessions through to big innovation projects. You will have the tools to facilitate better conversations and meetings. Your ability to influence, think, and provide compelling alternatives will increase directly as a result of this training. Courses don’t stay around for as many years as this creativity training course has if they aren’t good. This course delivers results!